Howard Jones was one of the defining figures of mid 1980s synthpop. He racked up a string of hits in the mid and late 1980s, before he retreated into being a cult figure in the 1990s. Jones first single called "New Song" was released in September 1983 and reached the UK Top 5 and U.S. Top 30. He had four more hits over the next twelve months and a UK Number 1 album, Human's Lib, which eventually went double platinum. Thanks to repeated exposure on MTV, the album became a moderate hit in the U.S. In the summer of 1984, he released "Like to Get to Know You Well", which he said was 'dedicated to the original spirit of the Olympic Games'. Although it was not an official Olympic anthem for the Games in Los Angeles that summer, it was a worldwide hit. It reached Number 4 in the UK Singles Chart and was featured in the 80's movie "Better Off Dead" starring John Cusack. 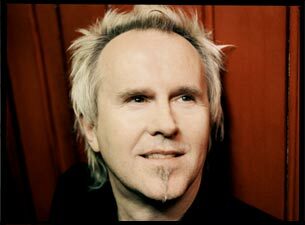 Other Howard Jones favorites are, "No One Is To Blame", "Things Can Only Get Better" and "Life In One Day". No One Is To Blame was Jones biggest U.S. hit, reaching #4 on the Top 40 in 1986.